Midnight finally struck on Cinderella, but she went home kicking and screaming. Oregon, the 12-seed in the South Region of the NCAA tournament, fought 1-seed Virginia for a full 40 minutes before going down 53-49 to end its memorable season. The Cavaliers will face 3-seed Purdue Saturday night for a trip to the Final Four. The Ducks officially finished 25-13 overall, but the record will be forgotten quickly. What will be remembered is that they faced adversity after adversity, still made the Sweet 16 and even had a three-point lead with 5:30 left with an Elite 8 on the line. 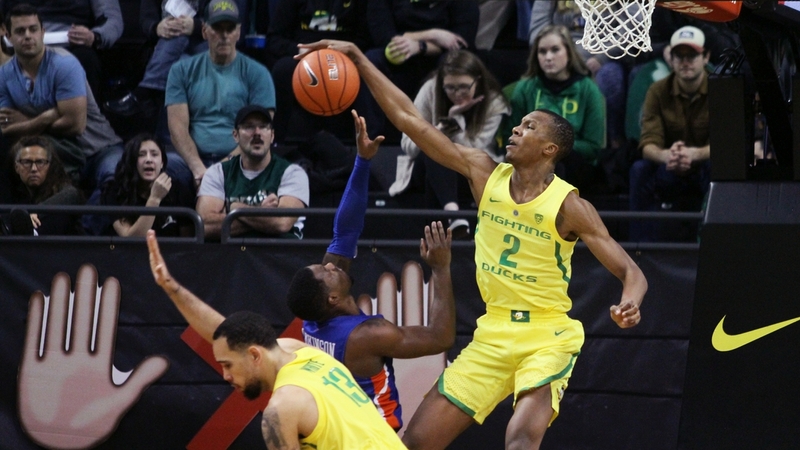 Louis King hit a three-pointer with 5:35 left to give Oregon a 46-43 lead, but after that, Oregon scored just there more points. After 10 straight games and wins, playing frantic defense, might have finally ran out of gas. Virginia came right back with a three of its own and then seemingly cruised the rest of the way. The Ducks had several chances to tie the game back up, but they just couldn’t get another long shot to go down and perhaps put a little doubt in the Cavaliers’ heads. King, still playing on a bum ankle, somehow sucked it up and led the team with 16 points, including a trio of treys in the second half that gave the Ducks hope. Pritchard was next with 11, but the Cavaliers defense made things difficult for the junior point guard as he was just 3-of-12 from the floor. White, a senior and playing his last game as a Duck, scored 10 points and pulled down six boards. Most of those numbers were in the second half as he helped Oregon erase what was an eight-point deficit of 30-22 at halftime. 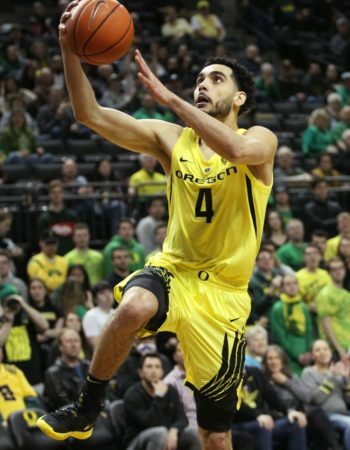 Ehab Amin also ended his brief career as a Duck with eight points and his defensive pressure was a factor all night long. Although he was credited with only one steal, Amin started to get in the head of some of the Virginia players and was one half of a double technical foul situation with Mamadi Diakite. As for Virginia, just their starting five scored points and four of them were in double figures. Ty Jerome led with 13, Kihei Clark with 12, De’Andre Hunter with 11 and Kyle Guy with 10. Oregon might have felt fortunate to only be down eight at the break, but at the same time, could have kicked itself as the Cavaliers might 15-of-16 shots from the field at one point. But the Ducks couldn’t capitalize and their offense was having a problem finding the mark as well. The Ducks shot 42 percent, but managed to put up just 21 shots. Their saving grace was that they sank four treys in the first 20 minutes of action. Oregon had zero points off of turnovers, zero second chance points and zero offensive rebounds in that first half. If any of those stats had a crooked number, Cinderella might be still dancing with those webbed feet.